While you’re getting yourself and your kids’ costumes together for Halloween this month, have you considered a costume for your pet? 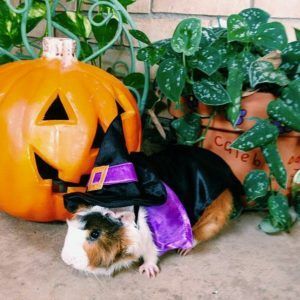 We have a handful of fun Halloween costume ideas for pets that your neighbors and guests (if you’re throwing a party) will love. But first, remember that the key to a great costume for your pet is comfortability. No matter how cute your beloved pet looks in a costume, if they can’t walk properly, or turn their head, then it’s not worth the trouble. And don’t worry! For those who don’t own cats and dogs, we’ve also included great ideas for a guinea pig, bearded dragon, and even a bunny. The costume is literal but a cute one nonetheless. 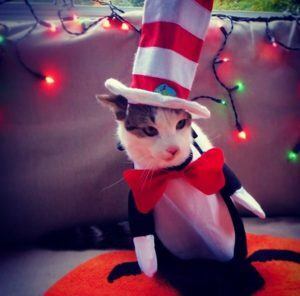 Your precious cat can be dressed up as the famous and very recognizable character from the Dr. Seuss children’s tale Cat in the Hat. With a simple, tall red and white striped hat and a red bowtie your cat can be transformed from an ordinary cat to a cat that’ll remind you of your own childhood. The best part, it’s a simple cost-effective costume to put together. 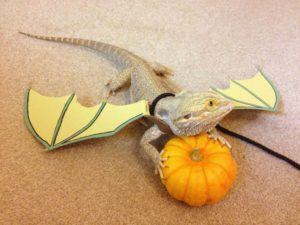 This is actually another simple and easy to make costume, for those who own a bearded dragon (or any type of lizard). With two dragon wings you can make yourself, you can create the appearance of an actual dragon from your beloved bearded dragon. Use brighter colors for the wings to present a playful dragon or darker colors to re-imagine the dragons from Game of Thrones. This is a great idea for those who actually have multiple dogs. 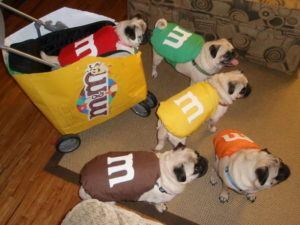 This image of pugs as the popular chocolate candy can actually fit for any breed of dogs. Don’t be limited to just M&M’s but any candy that has an assortment of colors (like Skittles and Starburst) can be used to create the cuteness of the collective bunch dressed alike. For smaller furry friends you can try an easy costume like this guinea pig dressed up as a wizard. Due to the size of the smaller pets, you want to make sure the costume isn’t suffocating to them and is easy enough to put on and remove. That’s why we like this magical little guy dressed as a wizard. The costume requires minimal effort and can be easily taken off an actual doll or toy wizard. There’s nothing cuter than seeing an animal within an animal for Halloween. 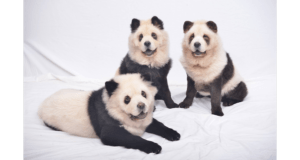 This Panda Dog idea can actually be executed easily with temporary dog hair dye pens (which you can easily purchase on Amazon or other websites for less than $15. The great news is these pens and similar ones online are completely non-toxic and safe to use (but make sure to read the label!) 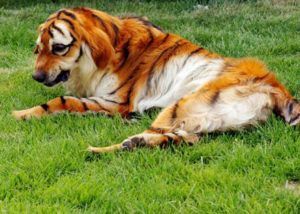 For a bigger dog that is white you can try using orange and black stripes to create a tiger. Turn your dog into a feisty feline or a playful panda this Halloween! This Halloween transform your pet to something scary, playful, or even another animal altogether. 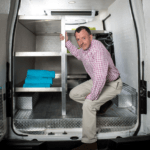 Above, we have some really affordable options to chose from no matter which pet you have (except fish of course). Go to our Facebook page and share photos of your pet’s costume with us this Halloween!